ESIC Recruitment 2018 2019 Application Form for 03 Assistant Engineer (Civil), Junior Engineer (Electrical), Junior Engineer (Civil) Posts Download Application through Official website www.esic.nic.in. ESIC AE, JE Jobs Notification 2018 Released. 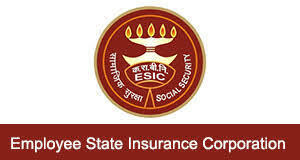 ESIC invites Walk in Interview for appointment in following AE, JE post in Employees State Insurance Corporation. Candidates are requested to Download Application through Official website www.esic.nic.in. Prospective candidates will have to before Walk in Interview carefully reading the advertisement regarding the process of examinations and interview, eligibility criteria, Offline registration processes, payment of prescribed application fee/intimation charges, ESIC pattern of examination, ESIC Syllabus, ESIC Question Paper, ESIC Walk in Date, ESIC Result Date etc. 1. Assistant Engineer (Civil) - Degree in Civil Engineering from recognized University/Institution. ii. Only Persons who should have honourably retired in the rank of Assistant Engineer or above from CPWD/State PWD/Central or State PSUs/Railways/Central or State Govt. Deptt./Autonomous bodies of the Central Govt. need to apply. iii. Person must be drawing pension from that office. 2. Junior Engineer (Electrical) - Diploma in Electric Engineering from recognized University/Institution. ii. Only Persons who should have honourably retired in the rank of Junior Engineers or above from CPWD/State PWD/Central or State PSUs/Railways/Central or State Govt. Deptt./Autonomous bodies of the Central Govt. need to apply. iii. Person must be drawing pension from that office. 3. Junior Engineer (Civil) - Diploma in Civil Engineering from recognized University/Institution. ii. Only Persons who should have honourably retired in the rank of Junior Engineers or above from CPWD/State PWD/Central or State PSUs/Railways/Central or State Govt. Deptt./Autonomous bodies of the Central Govt. need to apply. iii. Person must be drawing pension from that office.